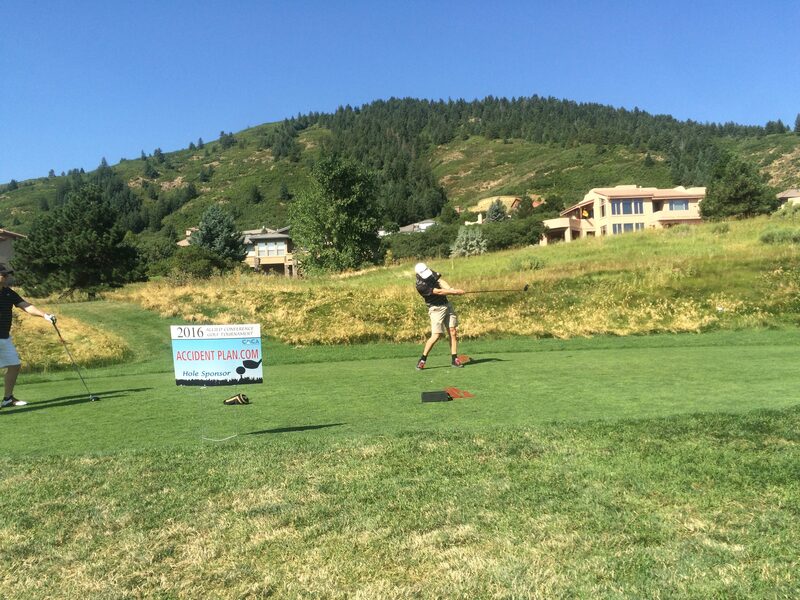 AccidentPlan would like to extend our sincere thanks to the Colorado Motor Carrier Association for hosting the 2016 Allied Conference Golf Tournament and for making the day an unqualified success. 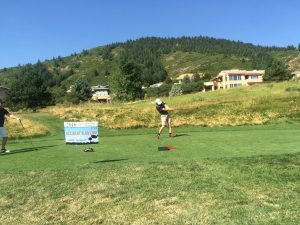 Shanking the drive on the 16th. 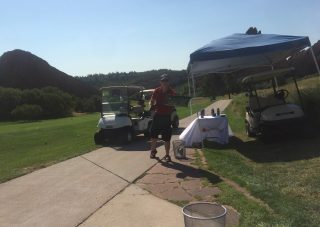 Patrick Fay, Brian Brieske and Brendan Dawson had fun tossing the Kit-In-The-Can with the players as they moved from the 15th green to the 16th tee at the gorgeous Arrowhead Golf Club in Roxborough Park, CO.
We reacquainted with many old friends and made a lot of new friends as well. 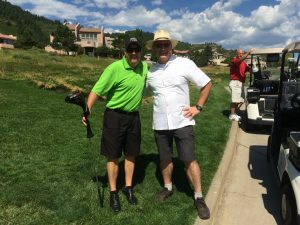 Not only that, but we generated a healthy interest in the many benefits of AccidentPlan as a part of an enhanced risk management strategy. We look forward to seeing everyone again this fall at the CMCA convention in Steamboat Springs.